The site for the second Ultra Mega Power Project (UMPP) in Odisha, to come up in the western part of the state, is expected to be finalized soon. 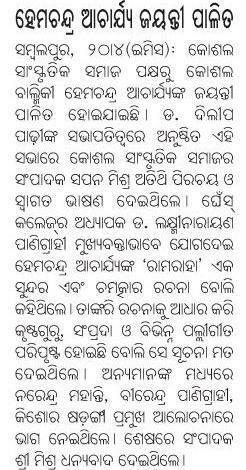 A team of the Central Electricity Authority (CEA) will visit possible sites in Kalahandi and Bolangir districts during April 24-25 to zero in on a suitable location. The Central team is likely to be accompanied by officials of the state departments of water resources, forest, revenue as well as that of state agencies- Industrial Promotion & Investment Corporation of Odisha Ltd (Ipicol) and Industrial Infrastructure Development Corporation of Odisha (Idco). Last month, the CEA team had discussions with top state officials on selection of sites for two more UMPPs proposed in Odisha, each with capacity of 4,000 MW. 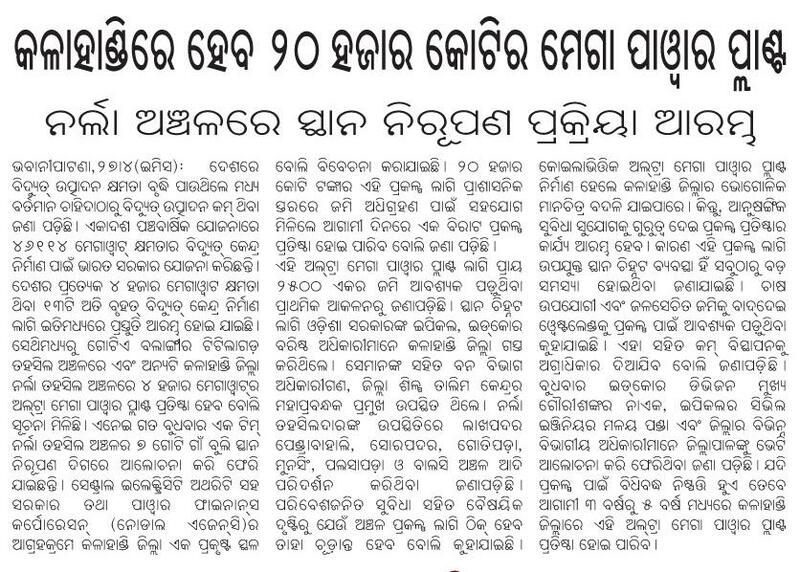 One of the UMPPs would be a coastal project with Paradip and Dhamara being considered as possible locations. Union minister for power Sushilkumar Shinde said during his recent visit to the state that Odisha would get 2,000 MW from each of these two UMPPs. Meanwhile, the bidding process has begun for the state’s first UMPP with a capacity of 4,000 MW. The project will be set up at Bhedabahal in western Odisha’s Sundergarh district. This UMPP would inject 1,300 MW to the state grid. The Bhedabahal UMPP, entailing an investment of Rs 16,000 crore, needed 3,100 acres of land. The Orissa Integrated Power Limited, a fully owned subsidiary of Power Finance Corporation (PFC), has been named the nodal agency for implementation of UMPP in the state. Water for this UMPP has been allocated from the Ib river and check dams and barrages would be put up on the river for this purpose. It may be noted that Meenakshi, Meenakshi-B and Dipside Meenakshi coal blocks have been alloted for the UMPP with a total reserve of 880 million tonnes. Two other subsidiaries- Sakhigopal Integrated Power Company Ltd and Ghogarpalli Integrated Power Company Ltd have also been formed by PFC for executing the other two UMPPs. UAMALPADA (Balangir): This village has just one country boat with the help of which, the 135 inhabitants connect to the mainstream. The boat, the only mode of communication, can only carry three persons at a time. 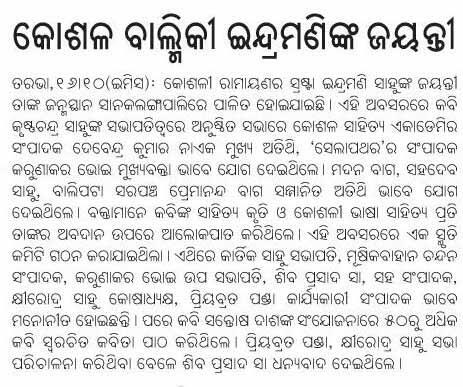 Despite the State Government laying thrust on improving rural connectivity, Nuamalpada village in Bagdor gram panchayat in Belpara block of the district is a shining example of the administrative neglect. The village is inhabited by 23 Gond and Binjhal tribal families, all BPL, who take help of the boat to reach the panchayat headquarters to collect government aid like old age pension or rice under Antodaya Annapurna Yojana. Surrounded by forest on three sides and water of a minor irrigation project (MIP) over Ganjadharjoar on another side, the inhabitants cross the water of the MIP to reach Banmal village from where they procure their essential commodities.They eke out a living by fishing in the MIP and collecting non-timber forest produce (NTFP) from the forests. A primary school was set up in a thatched house in the village in 2008. The school has seen no renovation since then as no official ever visits it. Altogether 30 students are enrolled in the school from Class I to V and there is one gana sikhyak. Students often drop out after class V as they have to traverse on boat and walk down another 8 km to reach the nearest high school. Moreover, one has to pay ` 20 for travelling in the boat.Septuagenarian Sendra Majhi of the village said at times the boat ride is costlier than commodities. Worse, the village has not been electrified till date. Even as villagers have drawn the attention of the sarpanch and the district collector to their plight, no remedial measures have been taken yet. Belpara BDO Sanjulata Behera promised to take up development works in the village once she receives fresh financial allotment. Bhubaneswar, April 25: The much-anticipated private chartered flight service from the Odisha capital will be launched by the end of this month. Bangalore-based Door-to-Door Service (DTDS) has announced the operation of a chartered flight between Bhubaneswar and Rourkela from April 30. This service would be available thrice a week — Mondays, Wednesdays and Fridays. The DTDS officials said the flight service would be extended to Jamshedpur and Calcutta. The nine-seater flight would take off from Bhubaneswar at 2pm and reach Rourkela in an hour. From there, the journey to Jamshedpur would take 45 minutes, before making its way to Calcutta — its final destination — the scheduled arrival time being 5pm. On way back, the flight would take off from Calcutta at 7.30am, land in Jamshedpur at 8.30am and then reach Rourkela at 9.15am. After a gap of 15 minutes, the flight would then take an hour to reach Bhubaneswar at 10.30am. However, passengers would have to cough up Rs 6,990 to travel between Bhubaneswar and Rourkela and Rs 7,890 between Bhubaneswar and Jamshedpur. Capital-based tour operator Benjamin Simon said: “It would certainly provide better connectivity. However, the company should chalk out a plan to reduce the fare amount, so that the common people can also avail the service.” The company is planning to start air service between Hirakud and Barbil. In another development, the state government has called for a meeting of prospective international flight operators next month to obtain their willingness to operate flights between Bhubaneswar and different international locations. Chief secretary Bijay Kumar Patnaik said the government had asked the Odisha Industrial Infrastructure Development Corporation to organise a national-level workshop. “It would involve the Union ministries of civil aviation and home, Air India and private airlines for showcasing Odisha’s perspectives and opportunities in international flight operations,” he said. Significantly, the transformation of Biju Patnaik Airport in Bhubaneswar to an international airport has gathered momentum. Airport officials informed the government that the construction of the terminal for international air service was on in full swing. Demanding speedy completion of construction works of lower Suktel irrigation project, people from around 22 villages of the affected areas held a meeting at Kankada in Bhundimuhann gram panchayat, 30 km from here, on Wednesday. During the meeting, they threatened to close all the Government offices by picketing at Balangir on April 9, if their demand was not fulfilled. Since 2005, the land acquisition for the irrigation project has been going on. However, the payment of compensation has not been completed. As a result, the welfare and development programmes of the Government were not implemented in the villages. As the compensation payment process for land acquisition has not been completed, people are not able to leave their villages and lands, informed Samajwadi Party district unit president Arun Mishra here. The villagers demanded fixing of minimum of `10 lakh as compensation for one acre land, implementation of latest relief and rehabilitation policy and expediting of land acquisition process, Mishra informed further. The project, for which work began in 2005, was marred by several financial irregularities. The lower Suktel irrigation project was approved at a cost of `216 crore. Meanwhile, the project cost has been raised to `1,047 crore, said sources. The project would provide irrigation facilities to 31,830 hectares land of Balangir and Sonepur district. Who wrote the first Ramayana in Kosli language? There is a discussion going on who is the Balmiki of Kosli literature. In this context, the following news reports suggests that both Indramani Sahu and Hemachandra Acharya have written Ramayanas in Kosli language. 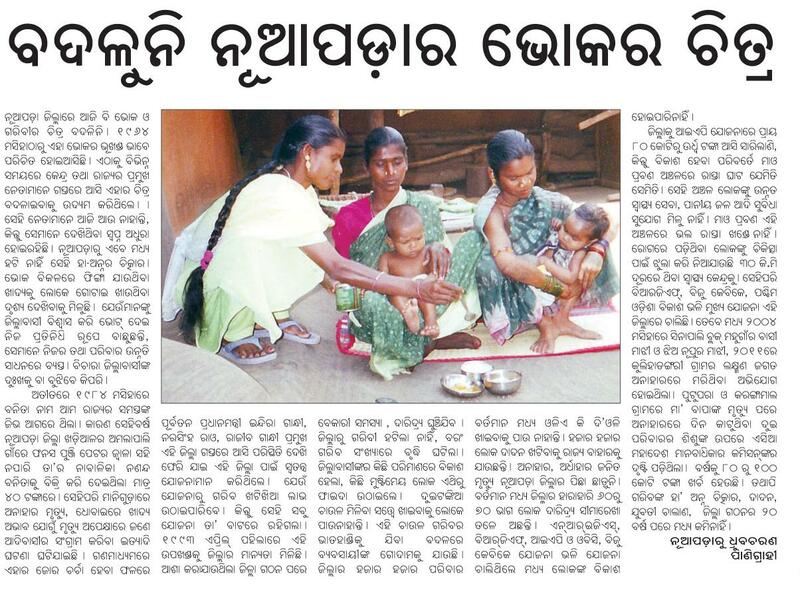 So, it seems that the Kosli Balmiki title is not confined to a particular person. And there are many Balmikis in Kosli literature.